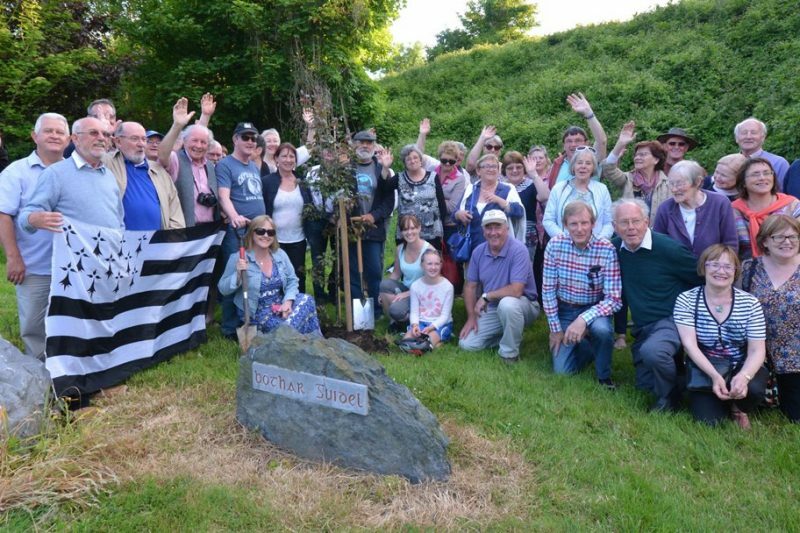 Situated near Lorient Airport, the small commune of Guidel does bear some resemblance to its Cork twinning partner. The two towns are of a similar size, both are located in “rebel counties” in their own country, both are about 10km away from an airport and both are commuter towns for a larger city (Lorient and Cork respectively). “My first involvement was back in 2008,” says Jim Kelly of the Carrigaline-Guidel Twinning Committee. “I’m a musician myself and they were looking for a few musicians to travel so I went with them. Jim was already familiar with France from camping trips with his family to Brittany and the Vendée but the twinning experience offered him the kind of deeper connection that regular tourism experiences don’t normally provide. Jim now describes himself more specifically as a “Breton-phile” than a Francophile. The twinning set-up follows the normal pattern of exchanging visits once a year, alternating between Brittany and Ireland. Carrigaline recently added another town to their twinning portfolio – this time in Bavaria – but the forming of the extra link has actually breathed new energy into the town twinning structure, according to Jim. In many cases, taking on too many links can over-burden such structures but in Carrigaline’s case, it seems to have had the opposite effect. Getting more young people involved in the experience is challenging, he says. A lot of that has to do with the fact that the local secondary school has set up its own connection with a school in Rennes, the Breton capital. In the early years of the Carrigaline-Guidel link, there was a student exchange but this has been eclipsed by the Carrigaline Community School’s own twinning efforts. Although twinning was initially something to teach people in the post-war years that their erstwhile enemies didn’t have two heads and were normal human beings like themselves, Jim believes that this message is even more important today, over 70 years on from World War II. Check out the Carrigaline-Guidel link and many more on the Tootlafrance Twin Towns Map below! Next Next post: Le Cabaret Vert – The Best “Green” Festival You’ve Never Been to?